The Best Ashtanga Yoga blogs (Power Yoga blogs) from thousands of Yoga blogs in our index using search and social metrics. Data will be refreshed once a week. Also check out Top Ashtanga Yoga Youtube Channels list for Top videos on Ashtanga Yoga. 2.15 502 Power Yoga | Practice. Transform. Inspire. 2.17 Ashtanga Yoga Girl | Travelling the world, one yoga studio at a time! Ashtanga Yoga newsletter is a comprehensive summary of the day's most important blog posts and news articles from the best Ashtanga Yoga websites on the web, and delivered to your email inbox each morning. To subscribe, simply provide us with your email address. Chapel Hill, NC About Blog Sage advice to help you find better balanceSage Rountree is an internationally recognized authority in yoga for athletes, an endurance sports coach specializing in athletic recovery, and a writer of numerous books and articles. Facebook fans 3,765. Twitter followers 4,275. Facebook fans 595. Twitter followers 1,498. About Blog This blog is about my daily Ashtanga practice and what's going on in the Ashtanga yoga community. Chicago, IL About Blog Bare Feet Power Yoga is your friendly neighborhood yoga studio. We teach powerful classes, love to have fun, and have an amazing community! Facebook fans 2,059. Twitter followers 414. About Blog Shanna Small has been practicing Ashtanga Yoga and studying the Yoga Sutras since 2001. She has studied in Mysore with Sharath Jois and is the Director of AYS Charlotte, a school for traditional Ashtanga in Charlotte NC. Facebook fans 15,790. Twitter followers 983. About Blog This blog is about my personal daily practice of the Ashtanga Yoga. San Anselmo, CA About Blog Marin Power Yoga is new to San Anselmo California. We are building strong and flexible bodies, joy and meditation. Facebook fans 1,838. Twitter followers 2,090. Facebook fans 569,705. Twitter followers 9,233. Panama City, Panama About Blog The objective of Velez Yoga is to guide the development of an integral practice of Ashtanga Yoga, sustained by tradition and experience. Facebook fans 551. Twitter followers 438.
seattle WA About Blog Spira is a Latin word meaning breath. Spira Power Yoga is a unique blend of Western and Eastern traditions. We bring you health and happiness through: Fitness, Tradition, Science and Joyful community. Facebook fans 1,715. Twitter followers 57. Minneapolis, MN About Blog Minnesota Power Yoga is a yoga studio in Uptown Minneapolis that inspires, educates, and empowers students to live in their authentic self and in optimal health. Founded in 2013, we specialize in Baptiste Power Vinyasa Yoga, which is based on Yoga, meditation, and self-inquiry. Facebook fans 3,176. Twitter followers 174.
bozeman, MT About Blog Ashtanga Dispatch was really just a name Jen René and I thought up over a cup of tea, as we dreamt up ways (some of them, silly) to share our love for the Ashtanga yoga practice and inspire others they way we are inspired. But make no mistake: Ashtanga Dispatch isn’t about a name, a logo, or a hashtag any more than this yoga practice is about poses or series – it’s about people. It’s about you. Facebook fans 16,583. Twitter followers 1,652. 15. 502 Power Yoga | Practice. Transform. Inspire. Louisville, KY About Blog Kentucky's first yoga studio dedicated to teaching and training teachers in the Hot Power Vinyasa Yoga in the Baptiste Yoga Method. Facebook fans 3,535. Twitter followers 485. Dublin, Ireland.. About Blog Stay up to date with all things Ashtanga in Ireland with the Ashtanga Yoga Ireland Blog. Any updates with our schedule, workshops, seminars and news about Ashtanga yoga can be found here. Facebook fans 2,803. Twitter followers 748. 17. Ashtanga Yoga Girl | Travelling the world, one yoga studio at a time! Hawaii, USA About Blog My name is Nat and I’m delighted to be sharing my yoga journey with you. I am head over heels about Ashtanga yoga and love nothing more than to travel and meet other teachers and practitioners around the world. I’m on a lifelong mission to explore this wonderful practice that has brought me so much joy. Facebook fans 1,041. Twitter followers 20. Rishikesh, India About Blog Vinyasa Yoga School India Certified Yoga Alliance USA offering 100, 200, 300, 500 hour hatha, Ashtanga, Vinyasa yoga Teacher Training courses in Rishikesh India. Facebook fans 189. Twitter followers 455. New Orleans, LA About Blog A Vinyasa Yoga Studio by Nathalie Croix Nathalie Croix is a yoga practitioner for ten years and dancer for many more, who returns to New Orleans from Los. Shanti Yoga Shala is a Uptown New Orleans Vinyasa Yoga Studio offering 200 and 300 Hours Yoga Alliance Registered Teacher Training Programs. Facebook fans 54. Twitter followers 650. About Blog It’s all about Balance. NuPower is a system of exercises designed to create strength and flexibility using the ancient sister sciences of Yoga and Ayurveda and powered by the 21st century science of strength and cardiovascular training using balanced Nubell technology. Facebook fans 429. Twitter followers 35. Dublin About Blog Inspiring and facilitating people to practice yoga and live a fuller life one day at a time. Suzanne and John are honoured to be part of a small number of teachers worldwide who are authorised to teach the traditional Ashtanga Yoga method. Facebook fans 1,772. Twitter followers 1,269. Gloucester, MA About Blog Providing the good people of Cape Ann with an effective way to get healthy, happy, and involved. Power Yoga is safe, fun, and open to all fitness levels. Cape Ann Power Yoga offers a strong and rejuvenating practice in a sunny, spacious & heated studio in downtown Gloucester, MA. Facebook fans 2,042. Twitter followers 17. Houston, TX About Blog Yoga Athletex keeps athletes moving, regardless of their limitations, with yoga, athletic training, responsive programming and mindfulness training. Facebook fans 798. Twitter followers 174. Heidelberg, Germany About Blog Manoj, born in North India in 1986, is part of a traditional family where yoga is an important part of their culture.He is the self-father of a 1-year-old boy and a loving husband. He passionately shares his deep yogic knowledge with compassion, patience and respect. Manoj also writes blogs and shares his knowledge on the topics of Ashtanga Yoga, Ayurveda and patanjali yoga sutra. Facebook fans 233. Twitter followers 1,753. Cherry Hill, NJ About Blog We are a Baptiste Power Yoga Studio where we sweat, challenge each other, laugh & cry, and have fun. We are a stand for bold leadership & community. A Power Yoga is a community committed to the growth of each student, member, teacher and leader. We are about creating connection and having fun! Facebook fans 1,556. Twitter followers 40. About Blog Melanie Fawer teaches yoga the way she was taught. Each student is given attention in a group setting. Ashtanga yoga focuses on alignment and breathing. There is no better yoga for cultivating strength, flexibility and inner peace. Facebook fans 689. Twitter followers 196. Baltimore, Maryland About Blog Flexible Warrior is all about the balance of opposites: power and peace; flexibility and strength; willpower and chillpower. Plus, learning how to think, stretch and eat like a warrior. Flexibility is power! Facebook fans 1,339. Twitter followers 2,406. London About Blog The first dedicated power yoga studio in London. Offering over 50 classes a week with London's finest power yoga teachers, our aim is to spread the word and share our passion for power yoga. Facebook fans 3,254. Twitter followers 4,027. Asheville, NC About Blog Ashtanga Yoga Asheville holds Mysore-style, personalized Ashtanga yoga classes. The Mysore Room is a supportive community in the Ashtanga tradition. London About Blog The mission of Lumi Power Yoga is to support each and every person to discover an authentic, extraordinary power and expression, on and off the mat. By accessing our true selves we achieve more than we ever imagined possible. Here we conduct ourselves with integrity, and empower our students and the community to discover the power of living, loving and connecting fully in every moment. Facebook fans 2,190. Twitter followers 1,015. Portland About Blog We know your time is precious. Expect to breathe, sweat, move, and be challenged every time. In all of our Power Yoga classes, we teach a unique style of Vinyasa Yoga that seamlessly synchronizes breath and movement. Beginners are welcome in every class. Facebook fans 2,725. Twitter followers 1,326. Portland, OR About Blog Ashtanga Vinyasa Yoga taught and practiced in the Mysore style of Pattabhi Jois. About Blog Full Power Yoga is no nonsense approach to yoga and travel. I teach classes around the world for all body types and levels. On this page I post upcoming classes, and adventures with my daughter - we travel and try to stay on the yogic path in live. Facebook fans 3,995. Twitter followers 11. Northampton, MA About Blog We are a traditional Mysore style Ashtanga Yoga shala serving all of the Valley that is run cooperatively - all our teachers are teacher/owners of our studio! Facebook fans 824. Twitter followers n/a. PAXTONIA, PA About Blog STUDIO B POWER YOGA offers power vinyasa flow classes for all levels. Our classes are challenging, but fun and will leave you feeling energized and empowered! connecticut About Blog Manipura Power Yoga Blog posts. A unique way to help the general public be introduced to meditation and yoga. This is the art of living. We are about power yoga, not gym yoga, not yoga where you sit, our yoga is about connecting to your body emptying your mind and letting go of stress. Facebook fans 414. Twitter followers 54. About Blog Midwest Power Yoga is located in downtown Sheboygan Falls. Classes are offered 7 days per week with a number of community class on a contribution basis. Facebook fans 1,404. Twitter followers n/a. Savannah, GA About Blog Savannah Power Yoga is the city's first Baptiste Power Yoga studio. Come breathe and sweat and (re)discover your Self. Facebook fans 2,823. Twitter followers 348. About Blog We offer a great workout. We offer the opportunity to get to know yourself. When you get to know yourself on your mat, you get to know yourself off the mat as well. With knowing who you are and what you want, you are empowered to make choices and decisions to propel you into being the person you deep down inside want to be. A happier you. A healthier you. A content you. Hamburg About Blog Ashtanga Yoga in the tradition of Sri K. Pattabhi Jois. 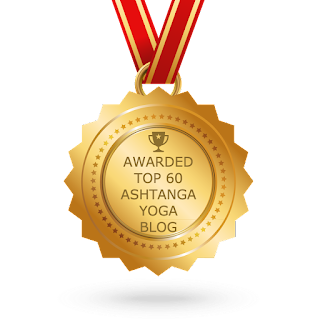 CONGRATULATIONS to every blogger that has made this Top Ashtanga Yoga Blogs list! This is the most comprehensive list of best Ashtanga Yoga blogs on the internet and I’m honoured to have you as part of this! I personally give you a high-five and want to thank you for your contribution to this world.